Meet Nancy. She is > 60 years old and just won her age group at the Rock and Roll 1/2 marathon with a time of 2:02. And she did it without foot pain (plantar fasciitis) or Achilles/calf pain that had been bugging her x 2 years before she came to see us! Nancy works hard, she shows up and is consistent. And she’s getting pretty darn good at swinging kettlebells. 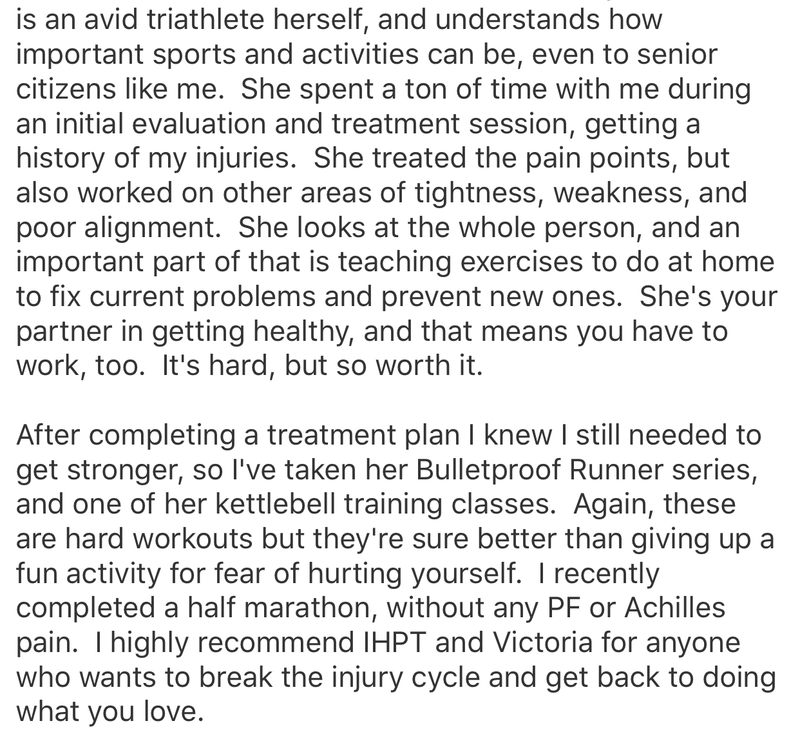 One of the reasons why Nancy has been so successful is because in addition to one on one PT, she's been training with Victoria in The Bulletproof Runner and Kettlebell Core & Flow workshops. Be like Nancy. 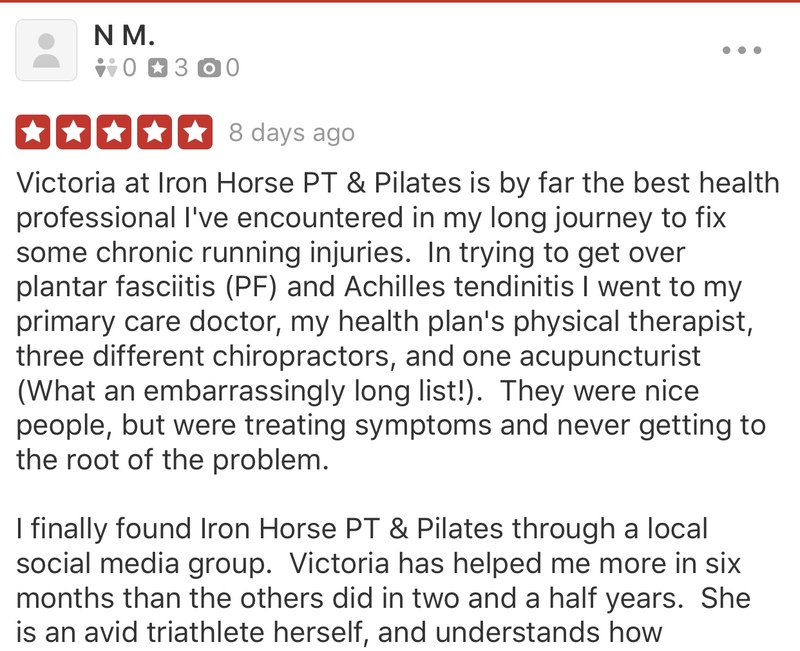 Read her story below about her 2 year battle with foot and ankle pain despite seeing multiple chiropractors, PT's and Dr's. Nancy just wanted to run without these injuries continually derailing her training! This is how we approached her injury: a little anatomy 101 of foot and lower leg. Is it even Plantar Fasciitis? Just because it hurts under your foot doesn’t mean that’s what it is! Look at all the muscles that start in your calf and go down to your foot! There’s also a bunch of smaller (aka Intrinsic) foot muscles not shown in the video. They can all be a source of pain under your foot. Nancy had a lot of tension/tightness in her calves and feet but we also looked upstream to see what was happening at her core and spine/hips/pelvis.